UFC middleweight contender Vitor Belfort (19-8) said that his fight with champion Anderson Silva (27-4) will likely take place at the UFC event on Super Bowl weekend. Although Vitor Belfort was pulled out of a UFC 122 clash with Yushin Okami, it turns out he did not sustain an injury and will instead get a shot at UFC middleweight champion Anderson Silva. Vitor Belfort, who was scheduled to fight Yushin Okami (25-5) in the UFC 122 main event, has had to pull out due to injury and has been replaced by Nate Marquardt (30-9-2). Vitor Belfort will face Yushin Okami in a middleweight title eliminator in the UFC 122 main event in Oberhausen, Germany on Nov.13, 2010. In what could be nothing more than lighthearted trash talking, UFC fighter Vitor Belfort called upon Dana White to let him fight James Toney… in a boxing match. Top middleweight contenders Yushin Okami (26-5) and Vitor Belfort (19-8) may square off at UFC 122 on Nov. 13 as the Ultimate Fighting Championship travels to Germany. Hot off the heels of his best career performance against Antonio Rogerio Nogueira, Jason Brilz will return to face Vladimir Matyushenko at UFC 122. Although not officially announced, multiple media sources have confirmed that the card will take place on Nov. 13 at Konig Pilsener Arena in Oberhausen, Germany. 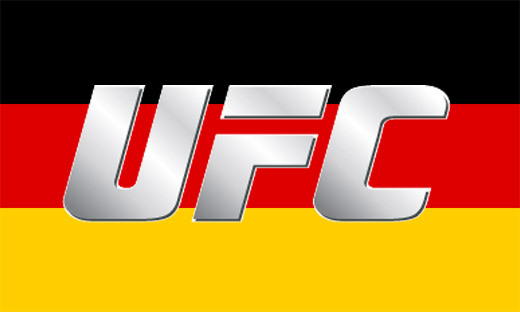 Although it has not been officially announced, the UFC is set to return to Germany on Nov. 13. UFC 1222 will take place at the Konig Pilsener Arena in Oberhausen, Germany. In the U.S. the card will be aired on tape delay on Spike TV. This week the card has started to come together.